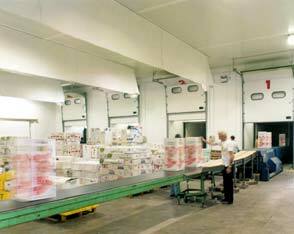 Refrigeration, Air Conditioning and Cold Stores. RAC Kettering can offer a solution to all your cooling requirements. 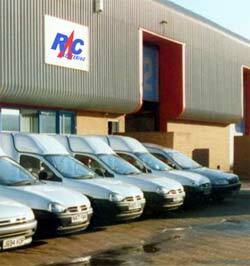 RAC Kettering is an independently family owned company having its roots based in Kettering where the business was first started in the early seventies. Having grown over last thirty years to become the region's largest independent specialist refrigeration, air conditioning and cold stores contractor working with some of the nation's largest blue chip companies. We are able to offer a full design and build service to clients from first site survey through to full installation and 24 hour 7 day a week 365 days per year back up call-out service. With over two centuries of combined experience between the engineering staff RAC Kettering can offer a solution to all your cooling requirements. The headquarters are in Kettering where the business moved to the purpose built offices workshops and warehouse in 1989. The workshops enable fully manufacturing from sheet metal through to completed product. With a fully equipped service workshop, equipment can be inspected, tested, serviced and repaired in controlled conditions before shipment to site. Many hundreds of thousands of parts, components, spares and accessories are kept in stock in the Kettering warehouse enabling fast turn around times to meet client requirements. Repairs, servicing and maintenance of air conditioning and refrigeration, cold room store installation servicing of refrigeration, air conditioner, cold room. 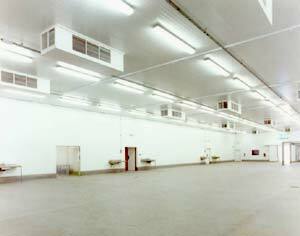 Commercial Refrigeration cabinet or air con unit not working? Refrigeration system not cooling as efficiently as before? Then, give us a call and we can have an engineer with you normally within 24 hours to investigate your problem. 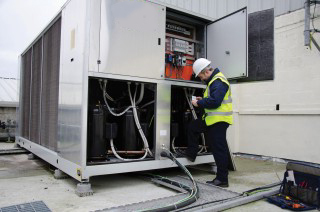 Our qualified refrigeration engineers are experienced in diagnosing and repairing all major brands of commercial, industrial refrigeration and air conditioning units, cold rooms / cold stores and installations irrespective of whether we installed the systems or not. Refrigeration, Air Conditioning, Cold Rooms Kettering / RAC Kettering are also able to offer Planned Preventative Maintenance for your installed air conditioning or refrigeration systems, cold storage rooms which will help prolong the life expectancy of your air conditioner or commercial refrigerator, cold room and keep the systems working at optimum condition. Call for a quote for a Refrigeration Engineer to attend site for repair of your refrigeration, cold storage room or air conditioner system. Refrigeration Engineer Site Visit is charged for by the hour. Please note that any refrigeration parts, cold sore room or air conditioner materials and parts will be charged as extras. For your peace of mind RAC Kettering recommend that your refrigeration systems are subject to regular maintenance. It is a recognised fact that a regularly serviced air conditioning unit will have a far longer lifespan and will have higher performance and be more energy efficient than a unit which does not receive Planned Preventative Maintenance. RAC Kettering are able to offer you a Refrigeration Planned Preventative Maintenance contract to suit your needs to ensure that your refrigeration systems and cold rooms are working at optimum performance levels. Repair of industrial compressed air dryer by our qualified Dryer Service Engineers, who can leak test your system and provide service and breakdown repair on all makes of commercial industrial air dryer requiring repair. Our engineers are available 24 hours per day and 365 days per year and offer both commercial refrigeration and air conditioner repair in Kettering (NN16, NN15, NN14 and surronding areas of Corby, Wellingborough, Northampton, Market Harborough, Peterborough, Bedford Leicester, Milton Keynes and Coventry. Home air conditioner repair throughout the East Midlands and London. Our Refrigeration Engineering specialists can visit you to diagnose the faults on your unit and advise of any repairs, whether the unit was installed by ourselves or not. We can supply temporary portable / mobile air conditioner units for hire or rent if a repair can not be make on the same day. Our industrial commercial refrigeration repair department have many years experience and we are dedicated to providing a high quality refrigeration repair service throughout the Kettering, Wellingborough, Corby and Northanpton-shire NN post code region. Dehumidifier repair service is carried out at our Kettering workshop for all makes including Sealey, Broughton, Calorex, Meaco, Fral, Woods and any other make.